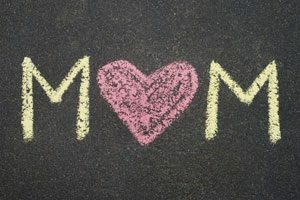 The most beautiful word on the lips of mankind is the word “Mother,” and the most beautiful call is the call of “My mother.” It is a word full of hope and love, a sweet and kind word coming from the depths of the heart. The mother is everything – she is our consolation in sorrow, our hope in misery, and our strength in weakness. She is the source of love, mercy, sympathy, and forgiveness…. Everything in nature bespeaks the mother. The sun is the mother of earth and gives it its nourishment of heart; it never leaves the universe at night until it has put the earth to sleep to the song of the sea and the hymn of birds and brooks. And this earth is the mother of trees and flowers. It produces them, nurses them, and weans them. The trees and flowers become kind mothers of their great fruits and seeds. And the mother, the prototype of all existence, is the eternal spirit, full of beauty and love- Kahlil Gibran. Useful information. Lucky me I found your site by accident, and I’m surprised why this accident didn’t took place earlier! I bookmarked it. Good web site you have got here.. It’s difficult to find high quality writing like yours nowadays. I seriously appreciate individuals like you! Take care! !